There is a popular trope among Mets fans to criticize the team for giving up on Justin Turner. This piece will try to set the record straight on why the Mets shouldn’t be blamed. 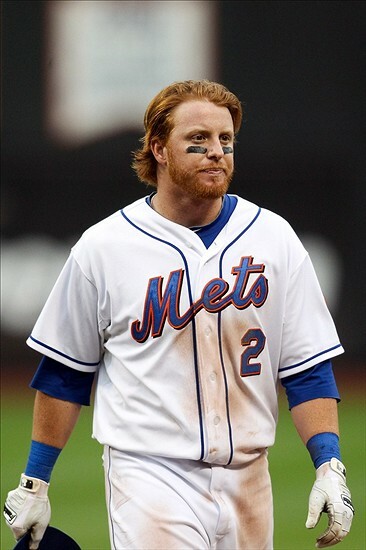 The Justin Turner story began in 2006, when he was selected in the seventh round of the draft by the Reds. Turner had a strong career in Cal State and batter over .300 each year. He got noticed as a senior when he batted .355 on the year. With only 4 home runs, he wasn’t seen as a power threat. Nevertheless, Turner was given a signing bonus of $50,000 and his professional career began. After three respectable minor league seasons in which Turner continued to hit for average, he was traded. The December 2008 trade saw Turner, utilityman Ryan Freel and another prospect join the Orioles. In exchange the O’s sent catcher Ramon Hernandez to Cincinnati. Hernandez had been a decent catcher but was 33 and at the end of his career. This was not a big trade at the time as no one involved was noteworthy. The main reason Baltimore made the trade was to open up a space for a promising your catcher by the name of Matt Wieters. Between the Reds and Orioles, no one felt that Turner had much value. In 2009, Turner hit .300 in AAA and got a September call up at age 24. Unfortunately, in 12 games, he slash line was a mere .167/.318/.167 and had no extra base hits. In early 2010, Turner was called up from AAA again when Brian Roberts got injured. He went 0-9 in five games and was designated for assignment. This was the second time a team disregarded Turner as he was not considered to have much value. In May 2010, the Mets claimed Turner. He started in AAA and was briefly called up a few weeks later. In 4 games he only had one hit. The following season, Turner finally broke through as a super utility guy. He showed little power yet was a solid singles/doubles hitter. He wasn’t fast either but was an adequate defensive player. Over the next few seasons, Turner showed versatility as he played every infield position. He had a free-spirit attitude and never struck anyone as an everyday player. While with the Mets, the team was in below .500 each season. Turner was never seen as a big piece of the future. Most shockingly, Turner struggled against lefties. While, he was adequate against righties, his poor stats against southpaws were puzzling. Following 2013, when he suffered from a hamstring injury, the Mets let him go. At the time, the Mets were frustrated with what they saw as a lack of hustle and effort. Turner’s inability to hit lefties was detrimental to his value as a Met. At this point it should be noted that there were many who felt that the Mets should have tendered Turner a contract. Here are several blogs and articles written in which people noted it was an odd move at the time. (Click here, here or here to for some samples.) While there was uniformity that there was no harm in keeping Turner, no one claimed that he was on the verge of being a star. This funny article about Turner goes through his many shenanigans over his Mets career. At this point in his life, Justin Turner did some soul searching and realized that he needed to revamp his game. He spent that offseason fixing his flaws. It began with a complete tear-down and rebuild of his swing. Turner started the process in the winter after his final year in New York. He worked with his former teammate Marlon Byrd and former high school coach Doug Latta. The combo spent months working hard with Turner and it paid off. Dodgers bench coach Tim Wallach saw Turner playing at a Cal State alumni game. He liked what he saw and saw to it that Turner get a minor league contract with LA. What was the great secret? Launch angle! Turner changed his swing to allow him to hit for power. In 2013, the term ‘launch angle’ simply wasn’t in the day-to-day lexicon for baseball fans. It has since saved the careers of several players. When LA signed Turner, it was to a minor league deal. He was considered by everyone in the baseball in the baseball industry, including the Dodgers, to be a fringe major leaguer. Every year, hundreds of guys sign these kinds of contracts and few make a serious impact. We all know that he turned into a star, but if anything, the Dodgers got lucky. While his pie-in-the-face antics were charming, Turner wasn’t considered to be a serious ballplayer. To sum up, we need to think about what lessons can be learned. For starters, Turner wasn’t that great with the Mets. He was a useful player at most. Nonetheless, he was a backup on teams that won 74-77 games. Had the Mets kept him, Turner most likely wouldn’t have had the catalyst to revamp his game. Being released right after his 29th birthday was a wakeup call. Turner realized that he needed to take responsibility for his performance or his career would be over. After he retires, I want Turner to write a book or become a motivational speaker. This story is about hard work and personal responsibility. I like to give the following analogy. Turner is like the party guy from college who you ran into ten years later. You are shocked to see that he started taking life seriously. He works as an accountant for a Fortune 500 company and lives in the suburbs with a wife and two kids. You didn’t even know he had it in him. Pies in the face didn’t make Turner good. A wakeup call and hard work are why Turner has slashed .305/.383/.505 in over 600 games in LA. Next Peace On Earth And Good Will to YANKEE FANS!?!?!?! ?